During inclement winter weather, safety and access to your property are critical. 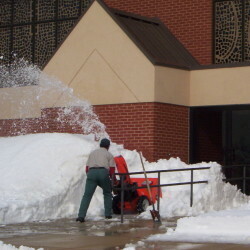 Akehurst’s Snow & Ice Management Department provides superior snow plowing/removal and ice management solutions for Retail, Commercial and Industrial properties, and Home Owners Associations (HOAs). Akehurst uses state-of-the-art snow and ice management equipment and only the most effective and environmentally friendly de-icing materials on the market. Akehurst professionals monitor your property on-site for air and ground surface temperatures and are well informed with up-to-the minute weather forecast information. Contact us today for a Landscape Management Site Assessment on your Commercial Property, Facility, Office or Community. 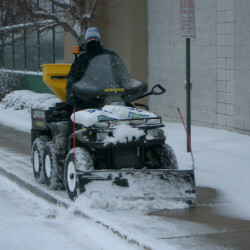 Call 410.538.4018 and ask for the Snow and Ice Management Department, or email our Snow Management Team. This winter looks to be a snowy one. Have a Truck Plow? We are looking for additional Trucks, Loaders and Equipment as well as additional shovelers for this upcoming Winter Snow Season. If you have what it takes, fill out our application to get on our SubZero Snow Partner List. 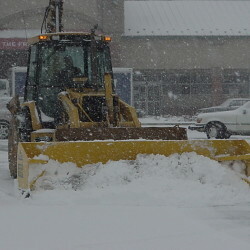 Companies or Individuals with Snow Experience and Equipment. Get on our Frosty List for extra winter cash. Bring a friend.